Fusion is a scary word, evoking clashing mish-mashes and monstrous melds. But in the right hands, it can be a lively conversation between unlikely new friends, a proof that combinations can indeed be greater than the sum of their parts. So it is at Indian restaurant Atta which, 1½ years in, is flying along with poise, confidence and a sincere sense of welcome. More than once, I sat back, ruminated and concluded, “This is a lovely restaurant”. The fusion here is not just between Indian and western flavours and techniques, but also between the many and varied cuisines of India itself. Take the twice-cooked salmon entree: the fillet is first pickled with north-Indian-style spiced yoghurt, then wrapped in a banana leaf as might be done in the southern state of Kerala. It’s briefly baked then served with a fragrant coconut chutney that’s whipped with agar in a modern molecular flourish to form a jellied puck. What really matters is that the dish is delicious: the fish gently but persistently flavoured, perfectly flake-apart, and augmented by the smooth chutney. It looks beautiful too; Australians tend to lob Indian food into a comfort-food camp but this is undeniably fine dining. That’s underlined by the sikandari raan, a classic northern Indian goat dish that dates back to Alexander the Great. It’s done here with lamb leg, which is marinated in red wine and curry spices, cooked sous vide, then smoked over applewood. It’s presented at the table under a smoke-filled dome which is removed to delighted exclamation. The lamb is tender, brightened with ginger and garlic, then gesturing towards an English Sunday roast with chat potatoes and carrots. Atta’s Dirty Samosa is a tasty entree comprised of a triangle pastry that’s been torn apart and sploshed with masala yoghurt. 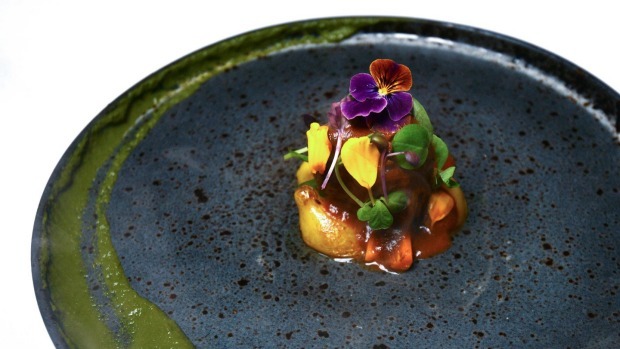 It’s also a spicy homage to contemporary chef heroes Gaggan Anand and Massimo Bottura, both of whom have famous “smashed” dishes in their repertoires. 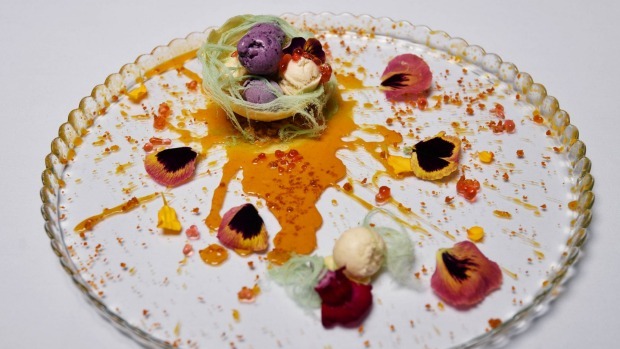 Gaggan’s “Who Killed the Goat” is splattered with saffron oil and Bottura’s “Oops I dropped the lemon tart” is a deconstructed dessert. 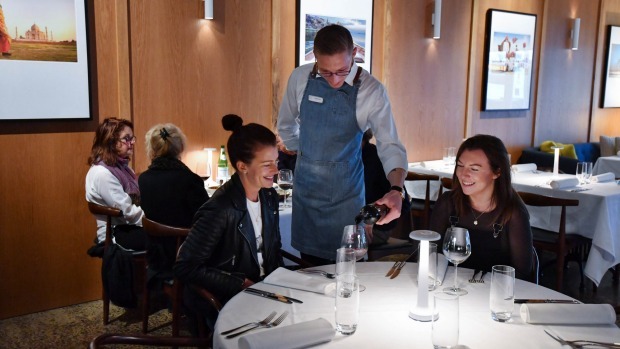 Such knowing references are a signal of Atta’s ambition, underlined by the fact the kitchen team is currently reading its way through an Eleven Madison Park cookbook, produced by the New York restaurant that is one of the world’s temples of haute cuisine. None of this is to suggest that Atta is snooty. Indeed, to be here is to be cocooned in a hospitable bubble. 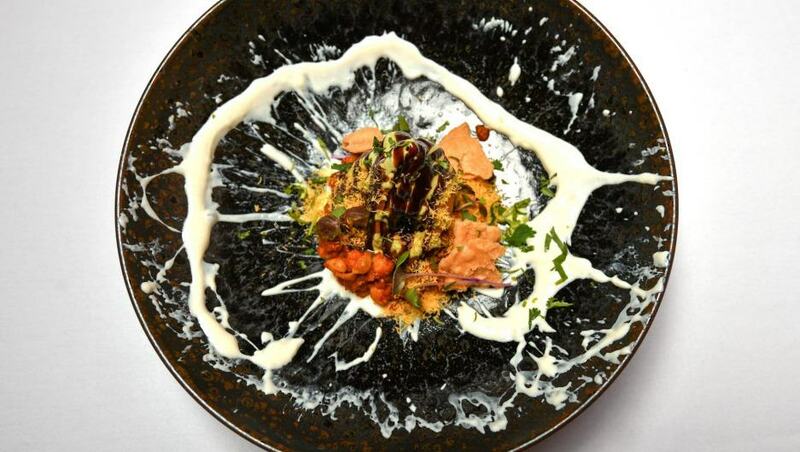 However, it’s fair to say owners Brijesh Patel and Harry Dhanjal are keen to reshape notions of what Indian cuisine can mean. They reclaim its delicacy and refinement, roasting and grinding all their own spices, and creating 15 different garam masalas for their various curries. They also look to the future, serving wine from Charosa Vineyards in Maharashtra, a little pocket of Tuscany on the subcontinent. I tried the viognier and it wasn’t half bad. The restaurant is large and elegant with well-spaced tables that promote conversation – I dined with an 80-year-old and we chatted with ease. Service is superb, with staff well-schooled on the food and able to make clever suggestions on how to navigate the menu. That’s especially useful as everything sounds good. The waiters will definitely encourage you to find room for dessert, probably the “bird’s nest” which takes traditional elements – kulfi, rabri (thick, sweet reduced milk), pistachios, saffron-braised coconut – then combines them with fairy floss, white chocolate and raspberry pearls to create a flouncy dessert that tastes like India, feels like Melbourne, and with every seductive bite, offers its own compelling argument for the joys of fusion. First published in Good Food, 30th October 2018.